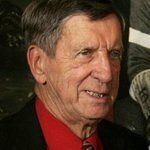 The Ted Lindsay Foundation was established in 2001 by Ted Lindsay and John Czarnecki, the father of a nine-year-old boy with autism. The foundation raises funds through an annual celebrity golf outing in September supported by the Detroit Red Wings and local celebrities, an annual wine tasting event in March, other events and through sales of autographed sports memorabilia. Since its inception, the Ted Lindsay Foundation has raised more than $2 million for research into the cause and cure of autism. The Ted Lindsay Foundation is supported by key sponsors: Kroger, Capitas Financial and Wells Fargo. The foundation’s mission is to elevate public awareness in the community regarding the need for increased funding and support for children with autism. The foundation works to raise and dispense funds to new and existing research projects that focus on the cause and treatment of autism. It also provides funding for training programs, educational programs and social services for children with autism and their families. For more information on the Ted Lindsay Foundation, go to www.tedlindsay.com or call 248-202-6194. Google trends for "Ted Lindsay Foundation"
We don't have any videos related to Ted Lindsay Foundation.